Sugarcane (Saccharum spp.) is a perennial grass in the family Poaceae. It is cultivated in tropical and sub-tropical regions for the sucrose that is found in its stems. It requires a frost-free climate with sufficient rainfall during the growing season to make full use of the plant's great growth potential. The crop is harvested mechanically or by hand, chopped into lengths and conveyed rapidly to the processing plant. Here it is either milled and the juice extracted with water or the sugar is extracted by diffusion. The juice is then clarified with lime and heated to kill enzymes. The resulting thin syrup is concentrated in a series of evaporators after which further water is removed by evaporation in vacuum containers. The resulting supersaturated solution is seeded with sugar crystals and the sugar crystallizes out, is separated from the fluid and dried. Molasses is a by-product of the process and the fiber from the stems, known as bagasse, is burned to provide energy for the sugar extraction process. 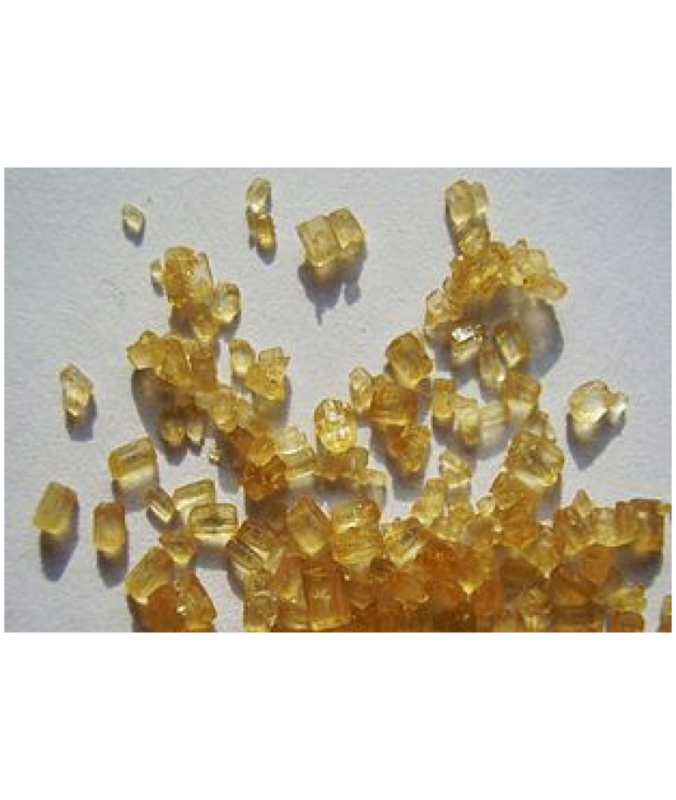 The crystals of raw sugar have a sticky brown coating and can either be used as they are or can be bleached by sulphur dioxide or treated in a carbonatation process to produce a whiter product. Cane sugar requires further processing to provide the free-flowing white table sugar required by the consumer. The sugar may be transported in bulk to the country where it will be used and the refining process often takes place there. The first stage is known as affination and involves immersing the sugar crystals in a concentrated syrup which softens and removes the sticky brown coating without dissolving them. The crystals are then separated from the liquor and dissolved in water. The resulting syrup is either treated by a carbonatation or a phosphatation process. Both involve the precipitation of a fine solid in the syrup and when this is filtered out, a lot of the impurities are removed at the same time. Removal of colour is achieved by either using a granular activated carbon or an ion-exchange resin. The sugar syrup is concentrated by boiling and then cooled and seeded with sugar crystals causing the sugar to crystallize out. The liquor is spun in a centrifuge and the white crystals are dried in hot air, ready to be packaged or used. The surplus liquor is made into refiners' molasses. The International Commission for Uniform Methods of Sugar Analysis sets standards for the measurement of the purity of refined sugar, known as ICUMSA numbers; lower numbers indicate a higher level of purity in the refined sugar. A traditional variety of British boiled sweet, or hard candy, often yellow or orange in colour with sometimes an extract of barley added as flavouring. It is similar to hard caramel candy in its texture and taste. Barley sugar was often made into small spiral sticks, and the name is therefore sometimes used for the Solomonic column in architecture, and twisted legs and spindles in furniture, stair bannisters and other uses. The OED describe it as "a confection, usually in twisted sticks, made from sugar, formerly by boiling in a decoction of barley"
A sucrose sugar product with a distinctive brown color due to the presence of molasses. It is either an unrefined or partially refined soft sugar consisting of sugar crystals with some residual molasses content, or it is produced by the addition of molasses to refined white sugar (so-called Molasses Sugar). Brown sugar contains from 3.5% molasses (light brown sugar) to 6.5% molasses (dark brown sugar) based on total volume. Based on total weight, regular brown sugar contains up to 10% molasses.The product is naturally moist from the hygroscopic nature of the molasses and is often labelled as "soft." The product may undergo processing to give a product that flows better for industrial handling. The addition of dyes and/or other chemicals may be permitted in some areas or for industrial products. Sugar beet (Beta vulgaris) is an annual plant in the Family Amaranthaceae, the tuberous root of which contains a high proportion of sucrose. It is cultivated in temperate regions with adequate rainfall and requires a fertile soil. The crop is harvested mechanically in the autumn and the crown of leaves and excess soil removed. The roots do not deteriorate rapidly and may be left in a clamp in the field for some weeks before being transported to the processing plant. Here the crop is washed and sliced and the sugar extracted by diffusion. Milk of lime is added to the raw juice and carbonatated in a number of stages in order to purify it. Water is evaporated by boiling the syrup under a vacuum. The syrup is then cooled and seeded with sugar crystals. The white sugar which crystallizes out can be separated in a centrifuge and dried. It requires no further refining. 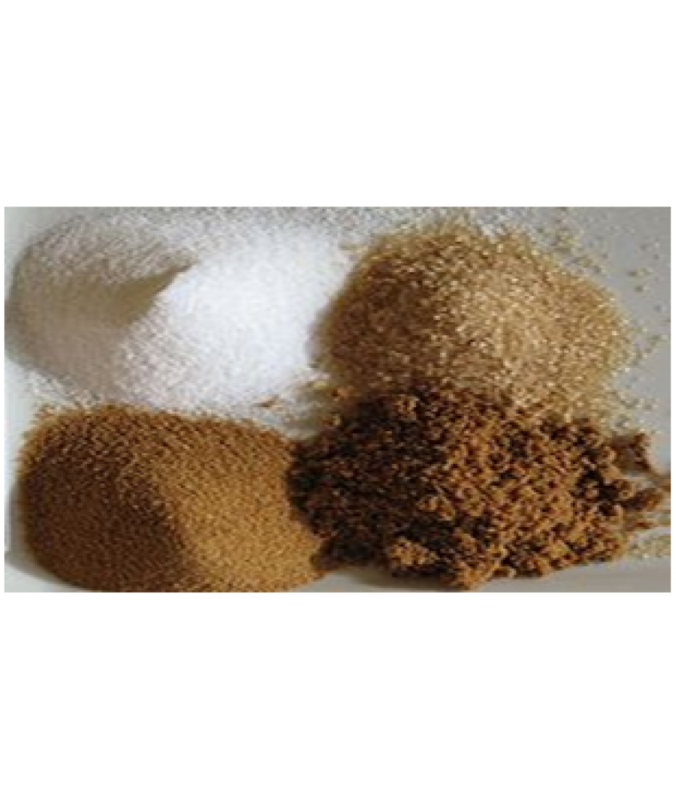 Different culinary sugars have different densities due to differences in particle size and inclusion of moisture. Powdered sugar 1 cup = 48 teaspoons ~ 120 g = 4.23 oz. The five largest producers of sugar in 2011 were Brazil, India, the European Union, China and Thailand. In the same year, the largest exporter of sugar was Brazil, distantly followed by Thailand, Australia and India. The largest importers were the European Union, United States and Indonesia. Currently, Brazil has the highest per capita consumption of sugar, followed by Australia, Thailand and the European Union.